I would like to receive occasional information and updates from Auction for Safe Haven for Donkeys and jumblebee. 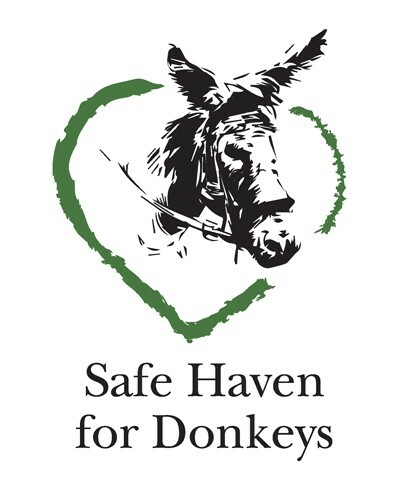 Welcome to this auction which is being run by the Mid Sussex Friends of Safe Haven for Donkeys to help raise funds for the charity whose head office is based in the UK. Safe Haven for Donkeys in the Holy Land has a donkey sanctuary near the Israeli town of Netanya, currently home to around 250 unwanted and abused animals. 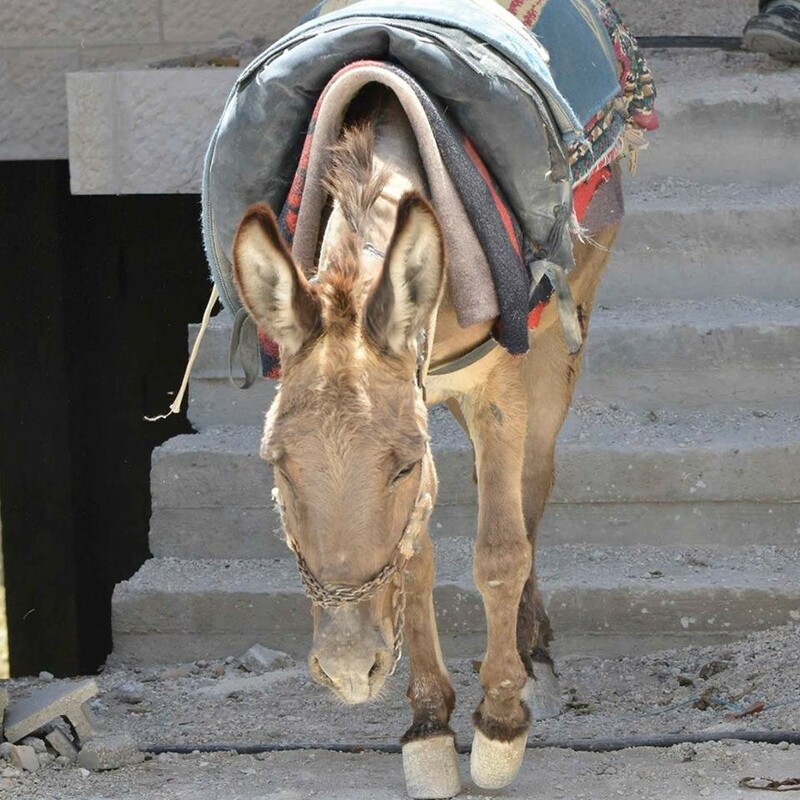 In addition, Safe Haven provides free veterinary treatment to hundreds of working donkeys, mules and horses each month in the Palestinian Territories and advice and support to the owners who rely totally on their animals. Auction opens at 3pm on Saturday 5th May 2018. Most items will run for approx 1 month although lot ending days will vary so please check on the timings. Items will be added - so please check back! -Should you win the auction, payment will be required via paypal which goes direct to the charity via Jumblebee. Winning bidders will be able to pay for their auction items with a credit or debit card via a payment link on their automated winning bidder email, through PayPal. You do not have to have a paypal account. -Should you be outbid on an item, you will receive an email from Jumblebee. To place another bid you need to click on the link in that email to higher your bid. -Generous individuals or companies have kindly donated the items. Please read each description carefully before bidding and please do not bid unless you intend to pay. 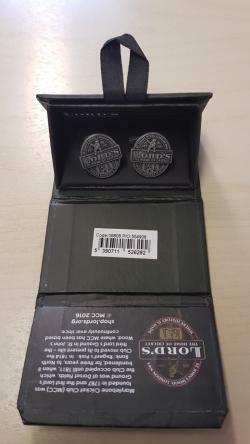 -Please ensure that you check your bid prior to confirming. Any incorrect bids will not be retractable and will be verified & accepted. -When you place a bid you thereby enter a contractually binding and irrevocable obligation to complete the transaction if you are the winning bidder of that lot. The 'winning bidder' is the person certified to be the highest bidder at the end of the auction. -The winner is liable for postage costs which will be listed on each lot. All items will be posted by second class mail (with proof of delivery if a higher value) however we can not be held responsible for items once in the postal system. -All items will be sent direct from the charity Safe Haven for Donkeys and not the auction organiser. Any queries after the auction has ended please contact them direct via the email below. -We are unable to refund items. -Once the auction has ended, the winner will be notified with an automated email from jumblebee and information regarding payment will be sent. Please ensure that payment is made within 7 days of close or the item will be re-auctioned and you will be reported via the jumblebee 'non payment' process. -Full payment including postal costs will be required before we send any items. 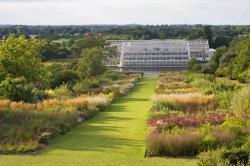 2 adult tickets to RHS Garden Wisley in Woking, Surrey. 4 x Queen Anne Enclosure tickets to the opening of the Festival of Food & Wine raceday at Ascot in Berkshire on Friday 7th September 2018. The voucher must be redeemed at least one week in advance of the event - full information on voucher. This opening race day of the four-day Festival of Food and Wine is a real feast for the senses. Fantastic racing is stirred with a host of culinary attractions including more than 140 stallholders. Friday’s race card includes eight competitive Flat races. The Garden For All Seasons Maiden Stakes – a maiden race (for horses yet to win) over a mile and a half provides opportunities for horses that may run over longer distances in the future. Racegoers will be able to sample and purchase food and wines from over 140 stalls (a complimentary shop and drop service offers further convenience). A BBQ Masterclass offers expert tuition. The Queen Anne Enclosure is situated close to the Parade Ring and the Winners’ Enclosure, you are right at the heart of the action. With elegant Champagne bars and tea rooms of the beautifully manicured Queen Anne Lawns, the atmospheric raised terraces from where to watch the world-class racing followed by the uplifting tradition of singing around the Bandstand; this enclosure allows you to tailor your ideal day. A formal dress code applies. 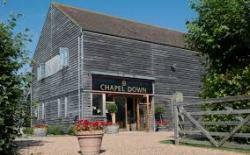 Vouchers for 2 people Tour & Tasting at Chapel Down Vineyard in Tenterden, Kent. Included is a guided tour of the vineyards and winery, followed by a tutored wine tasting. Tickets must be pre-booked in advance quoting numbers on voucher. Chapel Down is England's leading wine producer. 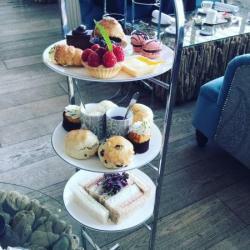 They are proud to supply British icons such as Gordon Ramsay and Jamie Oliver, and you can enjoy their drinks at great institutions such as The Royal Opera House, The Royal Crescent Hotel & Spa, The Donmar Warehouse, The London Symphony Orchestra at The Barbican and the Turner Contemporary. They are an official supplier to No 10 Downing Street, are the official sparkling wine of the Oxford & Cambridge Boat Races, the first English wine to be served at Ascot racecourse and are the first English wine producer to feature in the London Stock Exchange's '1000 Companies to Inspire Britain' and the directory of 'Cool Brands™ 2016/17'. A deluxe gift box from Tropic Skincare. This collection brings your skincare essentials together, plus an added boost of super vitamins, to create the perfect daily routine for your skin. Suitable for all skin types, even the most sensitive, this 100% naturally derived, freshly made skincare range is the answer to truly radiant skin. 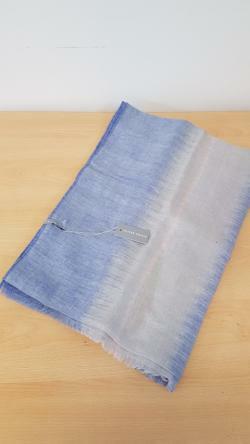 A blue/cream lightweight scarf from Oliver Bonas. Tagged and new - one size. 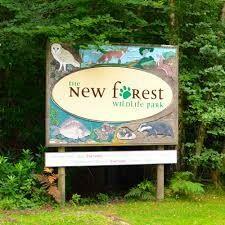 A family ticket to the New Forest Wildlife Park, Nr. Southampton. This is for 2 adults & 2 children or 1 adult & 3 children. 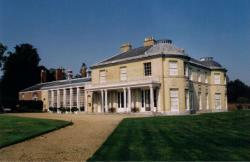 A voucher which entitles the bearer plus one to a guided tour and cream tea at Belmont House in Faversham, Kent. 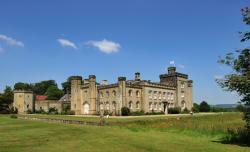 House tours are Sat, Sun, BH Mondays at 14.15 & 15.15. 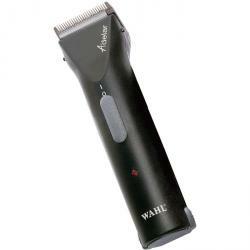 Powerful rechargeable trimmer. Two quick release battery packs for continuous cordless clipping one battery in use and the other on charge. 60 minute cordless clipping per fully charged battery. Adjustable blade taper for variable cutting lengths. Rust resistant high precision snap-on chrome plated blades. Ideal for trimming and partial clipping. Kit contains trimmer blade guard two battery packs charging stand cleaning brush 200ml clipper oil and instruction booklet all packed in a carry case. The 11-inch satchel is their smallest true classic satchel design which has been inspired by the Oxford and Cambridge leather school bags. Its timeless design and lightweight construction have made it a great day-to-day bag. This 11-inch satchel is hand-crafted in Liverpool England from quality ethically sourced heavy leather by artisan leather-smiths. It is stitched using a cotton-nylon thread blend for extra durability and then finished with silver-coloured cast metal rivets and two traditional buckle fasteners. The two traditional buckle fasteners will keep all your items securely inside while its long adjustable shoulder strap (up to 4-foot) will provide great versatility on how you want to wear it – cross-body or over your shoulder. Another important detail of this satchel is our blind embossed classic logo on the reverse. 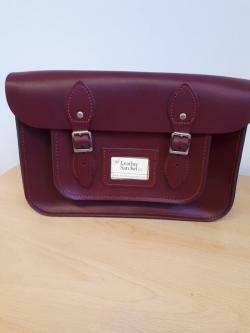 This ensures you that this is an authentic British handmade leather satchel and that its quality is second to none. 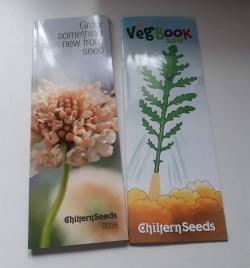 A voucher for you and a friend to the BBC Gardeners World Live and BBC Good Food Show which takes place at the NEC Birmingham 14th - 17th June 2018. With this voucher you have entry to the 2 shows taking place in adjacent halls. With live displays from Mary Berry, Monty Don, Alan Titchmarsh, James Martin & Michael Roux Jnr to name a few! Valid any day except Saturday. To activate your voucher you must visit the website before and bring the voucher along. 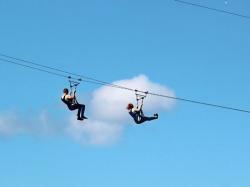 A voucher for 2 people - both zip wiring at the same time on a double line against each other. 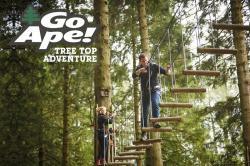 £60 voucher - Go Ape! £60 voucher to use at any Go Ape centre nationwide - our nearest being Tilgate (Crawley) or Bedgebury Pinetum. Vouchers can be used at any of their 31 centres throughout the uk. Join in leafy hangouts for an unforgettable adventure. Magical forests are the perfect place to let loose, have a laugh, and reconnect with your Tribe. Whether you’re eight or eighty, with a head for heights or not – Go Ape! have got the perfect adventure for you. Simply book your slot quoting the reference number on vouchers - pre booking is essential. 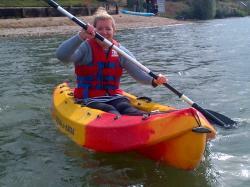 Kayaking for 4 at Chichester Watersports in West Sussex. Bidding on this item ends 9.6.18 - 3pm. 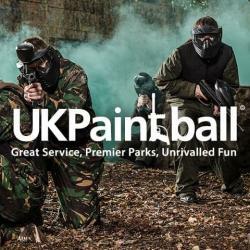 A voucher from UK Paintball for a full day of paintball for 5 people. Voucher includes full day entry, all equipment hire, semi automatic gun, 8-10 games, lunch (at participating venues only), plus 100 free paintballs for the recipient. 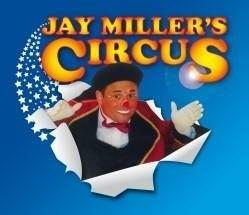 Tickets must be pre booked by details on voucher. 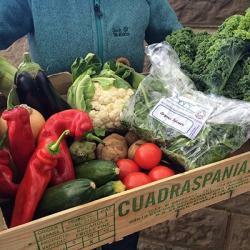 A vegetable box delivered direct to your door from Fin & Farm in Hove. 12 delicious items, all sourced in Sussex wherever possible or they will look as close to home as they can! On winning this lot we will send you contact details of Fin & Farm to make arrangements direct with them for delivery of your box. They will deliver themselves in the Brighton area or they will send by courier for other areas. 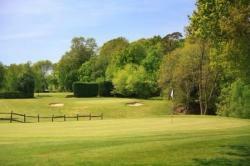 A voucher for a round of golf for 4 at Haywards Heath Golf Club. The voucher is valid until 31st October 2019. 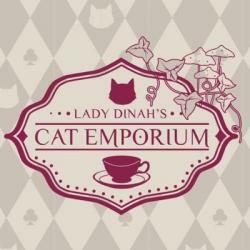 A £20 voucher to use at Lady Dinah's Cat Emporium in London. It can be used in store on merchandise, in the cafe or online. Booking essential as the cafe is very popular. 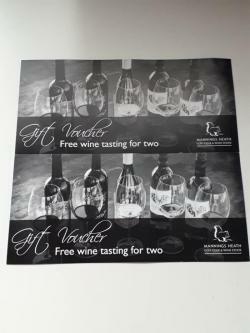 A wine tasting voucher for 4 people to Mannings Heath Golf & Wine Estate near Horsham. These are 2 separate vouchers (for 2 people on each) so could be used individually. They are valid until 1st December 2018. For use Monday - Sunday, booking is not required. Each voucher entitles you and a guest to taste five wines from the Benguela Cove collection and let their wine ambassador take you on a tasting journey. 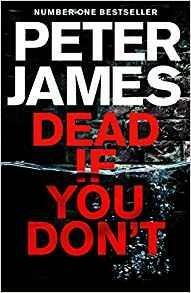 Bidding on this lot ends - 9th June - 3pm. 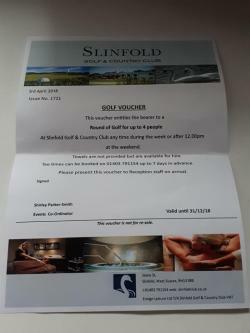 A voucher for a round of golf for 4 people at Slinfold Golf & Country Club near Horsham. It is valid any time during the week or after 12pm at the weekend. Voucher will need to be presented on arrival. 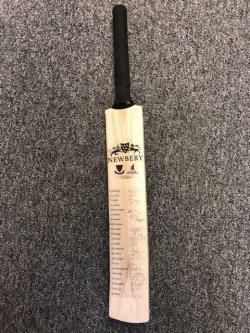 Bidding on this item ends 9th June - 3pm. A voucher for 1 x 'Stitch' Sewing & Dressmaking class at SEW in Brighton Sewing School. 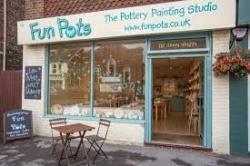 Bookings must be made in advance quoting reference number on voucher. This is a Harry Hall Legend PAS015 black riding hat. 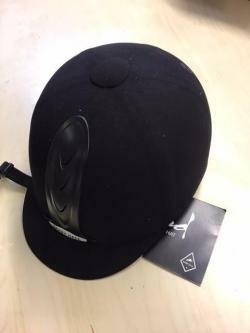 Size - 58cm / 7 1/8"
PAS015 Legend riding hat with front ventilation system to keep riders cool and protected in the saddle. 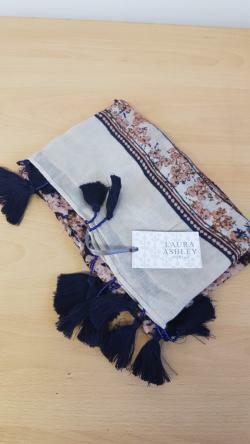 Laura Ashley lightweight Scarf from their 'Archive' collection. 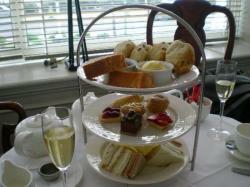 A gift voucher for x2 club tickets at Royal Windsor Racecourse in Berkshire. No voucher is redeemable on the day/evening - tickets MUST be pre-ordered by returning the gift voucher (which we will send you on winning this auction) 2 weeks in advance of your desired date. 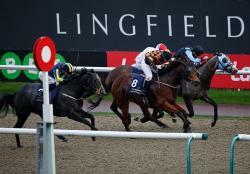 A voucher for 4 x premier entrance tickets to any raceday at Lingfield Park Racecourse. Excludes - Summer Saturday evening meetings, the all weather championships final day. the winter derby, derby trial and churchill stakes. Must be booked in advance by completing voucher and returning. *Full access to public areas including all of the racing action, finishing line, parade ring, numerous bars, cafes and betting outlets. A black vegan handbag from LaBante. New and tagged it measures approx 17x10"
This voucher entitles the bearer to complimentary fourball at Copthorne Golf Club near Crawley. Illuminate skin with the Glow Together Complexion Finisher Palette from bareMinerals. The luxurious limited edition palette combines three intensely-pigmented face powders that are effortlessly blended and buildable for a flawless, three dimensional finish. Add a subtle rosy flush with the oil-absorbing matte blush shade, build sculpted contours with the marbled bronzer and accentuate your features with the gold-glistened highlighter. Combined together, skin appears naturally luminous and lifted. Presented in a chic portable compact for on-the-glow applications, it's an ideal gift for any makeup addict. Shades: Gilded Glow, Rose Matte, Amber Glow. 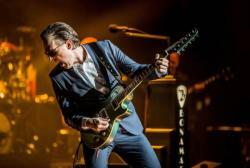 Approaching 26 years as a professional musician, Joe Bonamassa is hailed worldwide as one of the greatest guitar players of his generation, and is an ever-evolving singer-songwriter who has released 15 solo albums in the last 13 years, all on his own label, J&R Adventures. His hard work is being rewarded: MOJO gave Different Shades of Blue a 4-star review and called it the guitarists’ “most cohesive and satisfying artistic statement yet.” Uncut echoed that statement - “the best yet and then some from an artist whose vision continues to expand with every release.” Joe will be taking to the Hampton Court Palace Festival stage on Tuesday 12th June, having previously performed at the festival in 2013. Audience members can expect the celebrated blues-rock guitarist and singer-songwriter to play a stellar set of his classic hits. 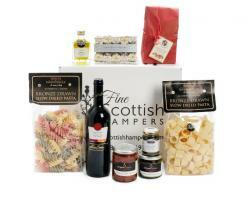 A classic italian hamper from Fine Scottish Hampers delivered direct to your door. Full of classic Italian staples, this Classic Italian Hamper is beautifully presented in a red gift box. On winning this lot we will send your contact details to Fine Scottish Hampers to make arrangements of delivery of your box. They will send to the UK mainland.